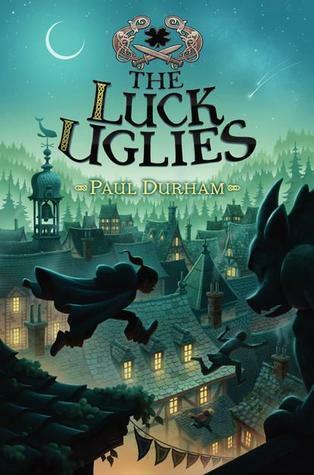 Rye, Folly and Quinn are kids who live in a small town with a medieval feel. Girls are not allowed to read, the Earl and his soldiers are always interfering in people's business and oh yes, there are a myriad of sinister magical creatures around. Wirries are easy to trap, but Bog Noblins are terrifying violent creatures and one has been seen on Mud Puddle Lane. Can the kids and their families keep the village safe from the monsters? Particularly when there are so many monsters to choose from, not just the Bog Noblins, but also the Earl and the Luck Uglies; a band of mercenaries lauded for their skills at Bog Noblin fighting, but feared for their indiscriminate cruelty. There is always something happening in this brilliant, fast-paced adventure. There are clues to solve, connections to make and a new path to forge. One of the most satisfying books I've read in 2014.